From the editors of Faerie Magazine comes an enchanting guide to throwing parties worthy of the faeries. When I was in elementary school my best friend Claire and I were convinced that faeries were real. Claire's family kept a garden outside the apartment where she lived, and when we had play dates at her house after school I would stop outside the front door and stare at the flowers planted in the dirt, trying with all my might and imagination to will a faerie to appear among the petals. None ever did. My godmother bought me Faeries A to Z, a book that I read nightly as a child, which detailed their habits and routines, and included a fairy house in the book that you could set up next to your bed, inviting the creatures to leave you gifts as you slept. Despite my deep conviction that they were real, no faeries left me any presents—not even a piece of string—in the fairy house. I am not bitter that my unwavering loyalty to the faerie realm never resulted in any visitations from the creatures themselves—after all, they obviously aren’t real—but when The Faerie Handbook (Harper Design, November 14) arrived at my desk this week, I was never-the-less tossed back into my old childhood infatuation with the winged creatures. 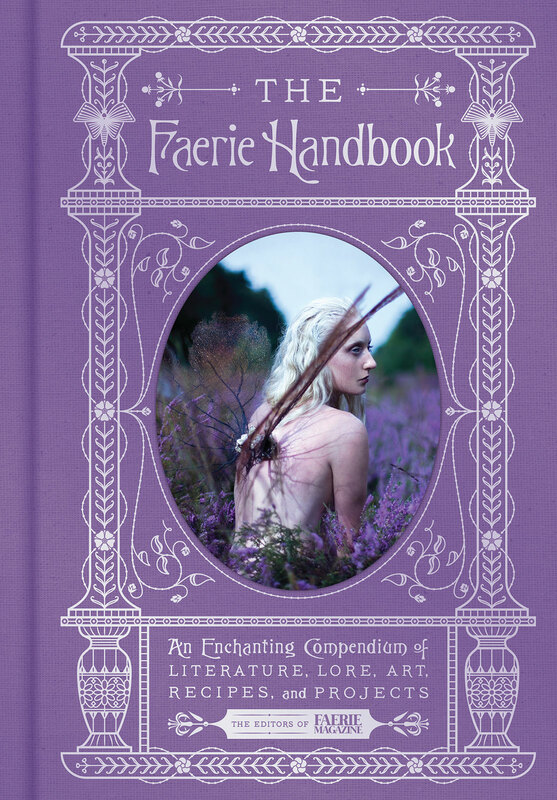 The Faerie Handbook is a thick, lavender tome that will serve as your guide to all things related to the faerie kingdom: How to dress and smell like a faerie, how to make faerie dust, even how to make sure you don’t get kidnapped by faeries and taken to their realm, or alternatively, how to find pathways that will lead you there—and most importantly, how to eat to like faerie and throw a party worthy of their kingdom. So how do faeries party? How you might expect: With enchanted garden parties under the branches of ancient trees, decorated with strings of lights, paper butterflies, and golden candles lining the dinner table. To throw a dinner party worthy of the faeries, the book advises you to decorate with green moss, hang crystals from tree branches, and fill the space will all kinds of candles, especially those dripping with old wax. Now on to what you would serve at said party: Best to focus on the flowers, like I did as a little girl, gazing into Claire’s garden with hopeful eyes. The Faerie Handbook recommends integrating edible flowers—like hibiscus, rose, and orchid—into your recipes, and teaches you how to make candied violets and clear lollipops filled with dried flowers. Just in time for fall, it also includes recipes for frosted cranberries (pictured above), and lavender shortbread cookies, both perfect additions to your Christmas dessert table. Think ahead to spring with their instructions for a tea party adorned with pink and purple flowers, tea cakes, and platters of fruit. Want to get really into the spirit of the faerie kingdom? 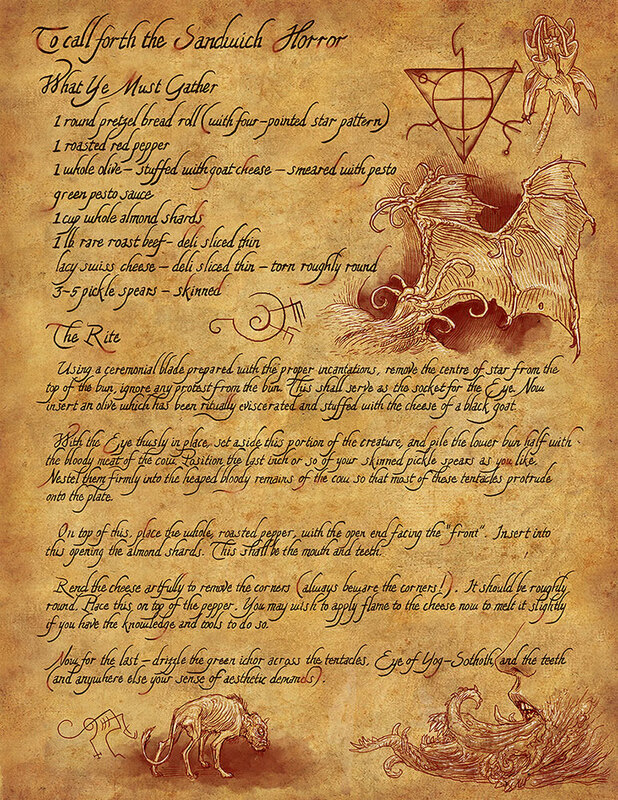 Issue invitations to your celebrations on a scroll. The elaborate party ideas and recipes contained in this book are enchanting fantasies that probably only the most dedicated host would have the resources to recreate, but I was still swept off my feet by this charming book, which filled me with nostalgia and provided a visual feast for my eyes. Whether you live your life like a faerie princess, or you just tried your best to as a kid, this is a book is a must-have. I’ll be using the book to reignite my search for the faerie realm using the recipe for fairy dust, which I plan to sprinkle on everything I own.